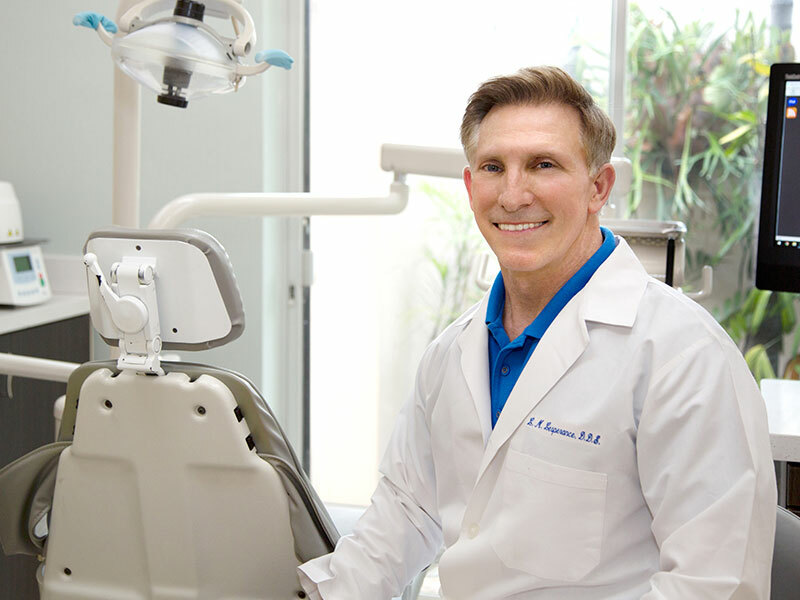 Dr. Lawrence Lesperance was born and raised in Coral Gables, Florida. He graduated from Columbus High School, earned his B.A. in Biology from Brown University, in the Ivy League, where he also played football and rugby. He earned his Dental degree from Emory University. He completed a one year General Practice Residency in Advanced Dentistry at Mount Sinai Medical Center on Miami Beach, Florida. He also completed an Advanced Dentistry program at the prestigious Pankey Institute on Key Biscayne, Florida and completed training program from the renowned Dentist Dr. Peter Dawson on TMD and occlusion. He is certified in CPR, Nitrous oxide sedation and restoration of the following Dental Implant systems: Nobel Biocare, Straumann, Ha-Ti, IMZ, Frialit-2, Astra, Biomet 3-I, BioHorizons and Thommen. He takes pride in staying current with cutting-edge Dentistry by attending numerous hours of continuing education courses all over the country every year and has acquired the latest technologically advanced Dental equipment. He is one of the few CEREC Dentists in the area. Dr. Lesperance has enjoyed practicing Dentistry since 1986. In November of 2004, after practicing for 18 years in South Miami, Florida, he purchased the Dental practice of Dr. Norman Zarr and Dr. Jack Power and relocated his dental office to his present location in Coral Gables, Florida. Renovations of his beautiful Mediterranean 1961- built office are now complete. Dr. Lesperance is fluent in English and Spanish. Dr. Lesperance has three daughters, Kaley, Kristine and Kourtney and lives on Key Biscayne, Florida. Dr. Lesperance enjoys traveling, running, biking, roller blading, ocean kayaking, swimming and occasionally competing in a local 5K or sprint triathalon race.